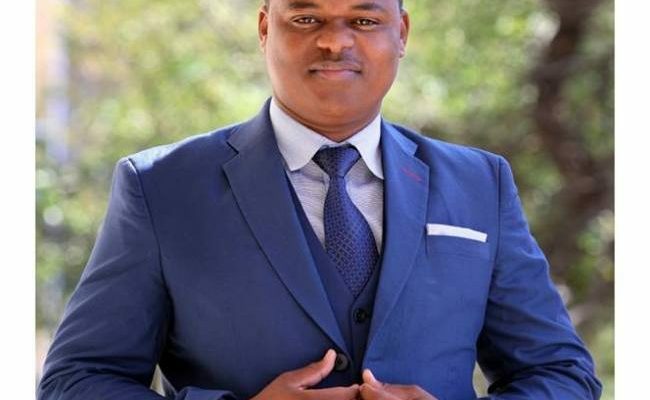 Home Entertainment Celeb News Bruce Nkgakile gives word on Mabailavs Masisi saga! 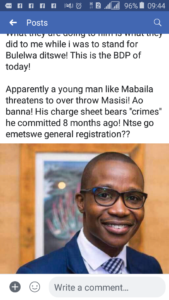 Bruce Nkgakile gives word on Mabailavs Masisi saga! 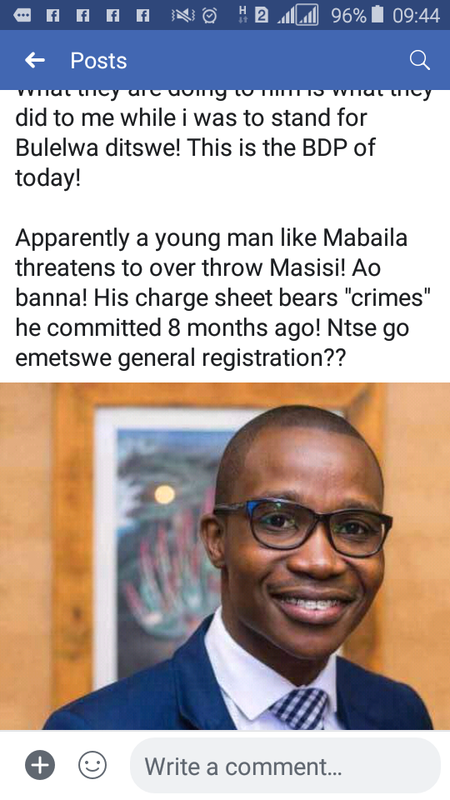 The cheeseboy of Gaborone is finally back to the rants days. 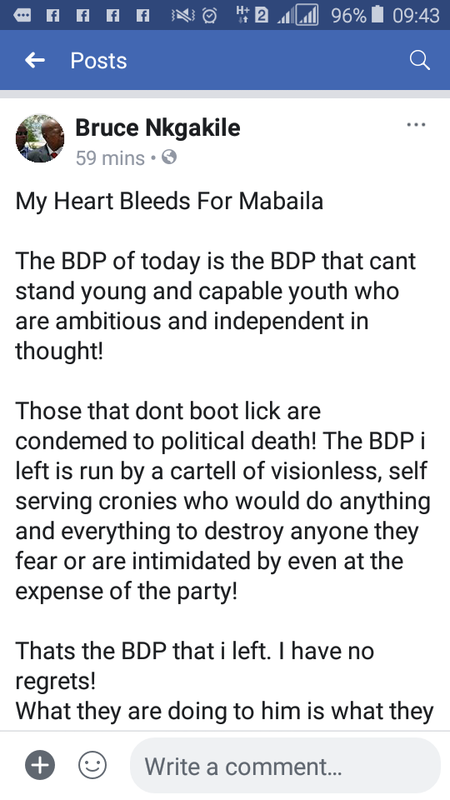 This morning self acclaimed money maker Bruce Nkgakile took to Facebook to give his own views and insights into what he feels about the on-going Tshephang Mabaila vs Masisi BDP saga. 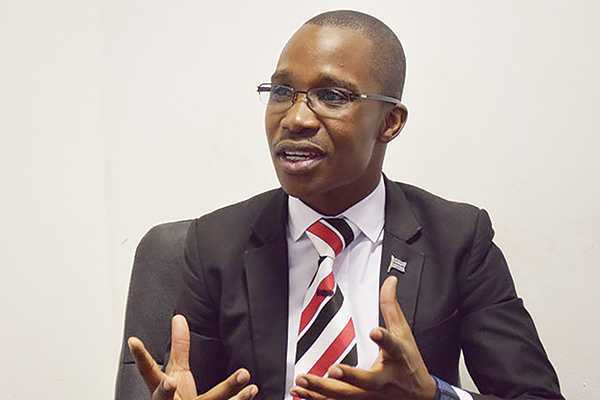 The duo of Bruce and Mabaila are set to go head to head in the upcoming general elections for the Mogoditshane constituency. 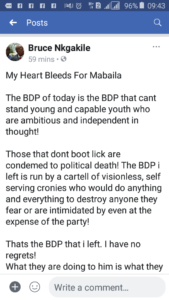 Below is what the Botswana Movement for Democracy youth leader has had to say.